When I say it’s them, it’s ME. When the other says it’s me, it’s THEM. You’re feeling x. No. I’m feeling x.
You’re x. No. I’m x.
I work with a lot of Aries (1st house) – Libra (7th house) themes. 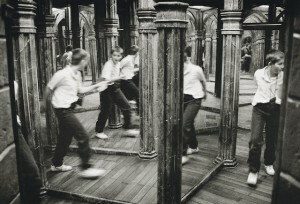 The 7th house, is the house of projection: A hall of mirrors. And the first house, is the house of me, myself, and I. We live in a world of opposites. Most things are contrary to what we believe, unless we learn (educate ourselves) otherwise. The next time you’re making a judgement about someone else, could it be about you, for better or worst? We can only see our face, through a mirror. Now, it’s not to say they’re not X at all. They probably are, and maybe even more X than you BUT, yes But… you’re still X, maybe different, maybe a lot less, and in your own way but you’re still X. So the excercise is to have compassion, and understanding for yourself and then offer that gift to another. You be you. And let them, be they.